Yamamoto had just announced late last month that he was battling cancer. Not only did the fighting spirit of Yamamoto will him to use every ounce of energy to fight the cancer, but he also wanted to make a return to MMA if he could get past the biggest fight of his life. Sadly, Yamamoto has succumbed to the disease. Born on March 15, 1977 in Kawasaki, Kanagawa, Japan few could’ve expected Norifumi Yamamoto to become a legend in the sport of mixed martial arts. But that’s exactly what happened and the Japanese MMA scene got even better because of his success. 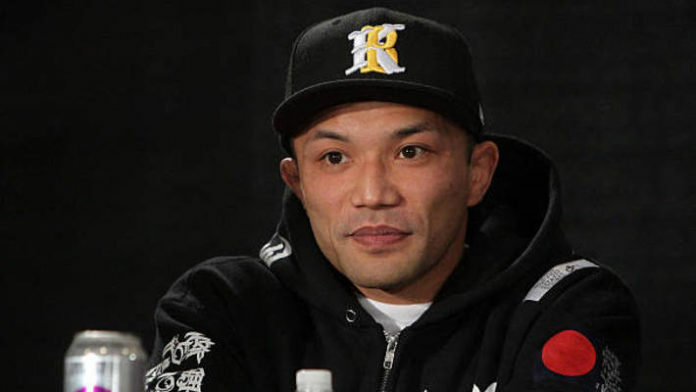 The man who would quickly be known as Kid Yamamoto began his professional MMA career in March 2001, earning a unanimous decision victory over Masato Shiozawa. Yamamoto would go on a tear in the lightweight division of K-1 and its parent entity Hero’s. At 5’4, Yamamoto was clearly undersized for the division. Yet somehow, he became the 2005 Hero’s Middleweight (165.3 pounds) Grand Prix winner. Few can forget the devastating four-second flying knee knockout that Yamamoto delivered to Kazuyuki Miyata back in May 2006. “Yamamoto Kid (41 years and 6 months) to everyone who supported Yamamoto Kid, he passed away today on September 18th. To everyone concerned for support and support before you, I would like to express my sincere gratitude to everyone of the fans. In addition, please refrain from interviewing the Yamamoto family, family members, friends etc, so that we can give consideration. We here at MMA News send our condolences to the family and friends of Norifumi “Kid” Yamamoto.